They weren’t the Young Guard. Their youth had been scattered in hundreds of places, burned by electric prods during interrogations, buried in secret graves that were slowly being discovered, in years of prison, in strange rooms in even stranger countries, in Homeric returns to nowhere, and all that was left were the marching songs that nobody sang anymore because those in charge now had decided that there had never been young people like that in Chile, that no one had ever sung The Young Guard, and that the Communist girls had not had the taste of future on their lips. 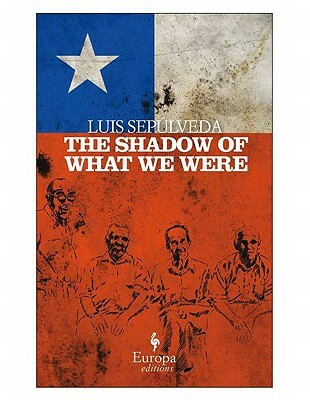 Luis Sepúlveda’s novel, winner of the 2009 Premio Primavera for Spanish literature and just translated into English by Howard Curtis, focuses on a group of old men, former exiles, recently returned to Santiago. The men had left for Paris, Munich, and other locales after the September 11, 1973, coup that removed President Salvador Allende from office. Now, years later, they are coming back together at the behest of a man they call “The specialist.” As they as just beginning to gather, their plans hit a snag, thanks to a domestic dispute and a record player that flies out of a window and kills a man. This 132-page novel is a very good example of why I tend to prefer doorstop-sized tomes to novellas. A good novella can indeed pack a punch, but often I need time to get acclimated to the author’s style and voice, to the setting and characters. This book and its dark, dry humor was just starting to grow on me when it ended. For the first 50 pages or so, I was still figuring it out. Is this meant to be funny? How are these guys connected? Wait, are these real names and events or made-up ones? Does it matter? Eventually I did get pulled into the book, and I enjoyed several of the more absurd moments in the book, such as when two of the men are exchanging e-mails in which they are plotting their mysterious gathering and exchanging (bad) advice about online dating. And I came to accept that the details about the political scene weren’t as important of the overall idea that these are old men living in a country that changed without them. However, by the time I was able to adjust my expectations and start taking real pleasure in the book, it was over. Of course, I can’t fault the book for my ignorance of Chilean politics and my unfamiliarity with what may (or may not) be typical Chilean humor. Before this book, I believe that the sum total of my Chilean literary experience was five books by Isabel Allende. (And yes, Bolaño is on my to-read list.) With a little more experience, I might have gotten interested in this book much more quickly, but I have a sneaking feeling I still would have liked it to be longer. The plot just felt ever so slightly undercooked. I liked these men, and I would have enjoyed spending more time with them. This entry was posted in Fiction and tagged Review Copy. Bookmark the permalink. Oh I’m so relieved that you were a bit non-plussed by this too – it took me forever to get used to the style of writing and as amusing as the police were, I got really annoyed not knowing where they fitted in! Glad I’m not the only one, too! There was a lot to enjoy, but it took too long to get acclimated. A solution: once you’ve got things figured out, go back and reread the first 50 pages. It sounds like you should do this with long novels as well as short ones. Authors of long novels usually pack a lot into those first 50 pages. I actually did reread a fair bit of this once pieces started to fall into place because I wanted to see how things fit together and make sure I understood what was happening. I’ve done that with longer books, too, but it’s not a regular habit. It’s usually only if I find something confusing or want to confirm an earlier impression. Like Emily, I usually need a specific reason to do so. And plenty of books grab me from the start; it’s just books like this, where I’m less familiar with the style and setting, where I have problems. I often have this issue with novellas as well. Sometimes I do re-read the beginnings as Amateur Reader suggests, but usually I have to have some kind of particular motivation (i.e., by the end I am sufficiently impressed that I care enough to investigate how all the pieces fitted together). I also just had a similar experience re: total ignorance of the politics in an explicitly political novel with Vargas Llosa’s Conversation in the Cathedral, but knowing it was 600 pages and I was lost 40 pages in definitely helped motivate me to spend an hour reading up on the history of 20th-century Peru! Ha! Yes, if I knew I’d be lost for hundreds more pages, I’d take more time to study up early on. In this case, researching would have taken almost as long as reading the darn thing! And I think humor can be hard to translate, especially political humor. It sounds like the book would have confused me as well. These are the sorts of books I always hope my book club will pick so we can all discuss and I can figure out all the bits I missed! That is indeed one of the pleasures of a book club! I have enough of a background in Chilean politics to be intrigued! It sounds like he’s not the best novella writer in the world, though. I find I sometimes want novellas to be longer too, though sometimes they are also the perfect length. I think it all depends on the scope of the story. This one does sound like it would be good if it were longer. I’ve certainly read novellas that I wouldn’t want to be a bit longer, but I think you’ve hit the nail on the head to mention scope. The scope of this, with so many characters, could have benefited from a few more characters. Teresa, I hope this novella hasn’t put you off Luis Sepúlveda, because he’s much more that this satyrical book. I haven’t read this one (but I will), but in general his style tends to be sweet, tender, a little tragic but beautiful. Unfortunatelly I don’t know if much of his work has been translated to English. Also, if “The Savage Detectives” by Bolaño is on your TBR pile, you won’t be learning much more about Chile, but about Mexico (for a Chilean, he writes mean Mexican, though, so is still a fantastic read). Oh no, this hasn’t put me off Sepúlveda entirely. I’d have to really hate a book or read multiple lackluster ones to be put off an author. I could see glimmers of sweetness here, but the satire was what stood out. And thanks for the heads-up on Bolaño. I don’t have a specific Bolaño on my list, but The Savage Detectives, The Skating Rink, and 2666 are all ones I’m considering reading at some point. 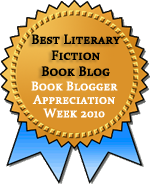 Belated thanks for this review, Teresa, as I wasn’t familiar with either the author or the novella (had meant to leave a comment to that effect a while back and then promptly forgot). I think Amateur Reader’s advice about rereading above is sound–but let’s face it, not everyone has the time or inclination to reread something that didn’t totally grab us in the first place. Cheers! Glad to have alerted you to an author of possible interest! And yes, if I had unlimited time, I’d take AR’s advice and reread lots more, both books I loved and books I found interesting but didn’t get (like this one). Sure, no, don’t re-read parts of bad books.